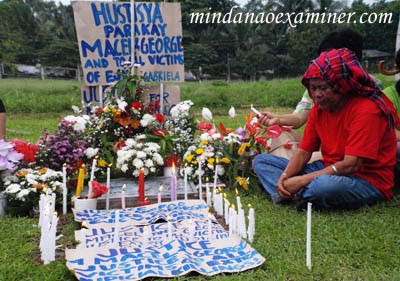 KIDAPAWAN CITY, Philippines (Mindanao Examiner / June 21, 2010) – Relatives and friends of slain Filipino couple and broadcasters George and Macel Vigo have trooped to the local cemetery to offer prayers as they commemorated the twin murders which occurred four years ago. They still cried for justice. 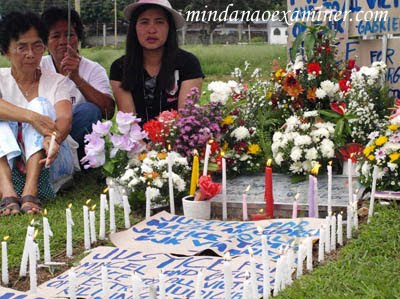 The duo was returning home on their motorcycle when ambushed on June 19, 2006 in Kidapawan City. 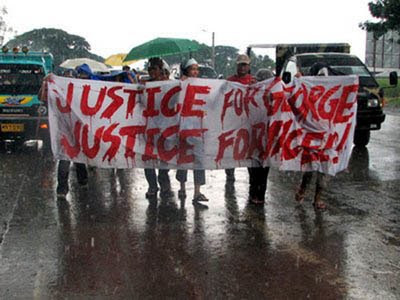 Before they were killed, George told his friends that suspected military intelligence agents were tailing him and this after he showed local officials a propaganda video mailed to him by communist rebels, according to the blog http://georgeandmaricel.blogspot.com. It said their assailants followed them on two motorcycles, and the killer, riding pillion, fired on them point blank. “Two days after the killings, the police declared they had 70 percent of the case solved. The couple was communists, the national chief of the police concluded, and their killer was also a communist whom the New People’s Army sent to kill them for spying for the military,” it said.